You are uptown in a shopping district of a small community, and you pass by the meat shop, the wine shop, the coffee shop, two churches side by side, a coin shop, an antique store … and hold it right there. A coin shop? This is irresistible, because, as implausible as this may sound, all political truth can be found in a coin shop. And not just political truth: you find in here the story of the whole of modern life on exhibit, and learn more from looking than you find in a multivolume history. There they are on display: coins from all lands. Why are they worth more than the coins in your pocket? Because they are old? That’s part of it but not the essence of it. There are some new coins here that are also just as valuable as the old ones. What is critical is that they are made of gold and silver. You can pick them up and tell the difference. They are heavy. Stack them and let them fall on each other, and they make a different sound from the coins that usually rattle around in your pocket. It strikes everyone and anyone immediately. Somehow these coins are “real”; the coins we use today are not. But what does this really mean? And what does it imply? The value of the coins amounts to far more than their marked value. 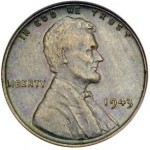 Even dimes before a certain date sell for ten and fifteen times the face value. The larger coins can be quite expensive. What is real here is their substance, not the printing on the outside. This is the opposite of modern coins, the substance of which is completely irrelevant; all that matters is what is printed on the outside. So the use of the term “real” here parallels how we use this term in any other context. Reality TV is said to provide the unvarnished truth about what people really do. We say someone should “get real” if we suspect that their thought or behavior is a mask or a blindfold that is obscuring a more obvious truth. So it is with coins. The new coins we use in transactions are not real. They are wearing a mask, a disguise, one put on by the state. More absurdly, the state tells us not to look at the reality but rather to trust God that all is right with the money in the realm. The old coins, in contrast, are precisely what they say they are and therefore have nothing to hide. There are no invocations that require a leap of faith. The truth is found on the scale and is told in ounces. The gold ones are of course the ones you really want to hold. Their value reflects the metal content. Melt them, restamp them, make them into jewelry, and they are still worth no less than the market value of the metal. And who decides what the values of these old coins are? The coins might bear the likeness of a politician. They might bear the name of the nation-state. But these pictures and slogans are merely interlopers on the real point. What you hold is valuable not because some legislature, treasury department, or central bank says it is valuable. Its worth was and is dictated by the market, which is to say, the choices and values of human beings. No government can add to or take away this value except by physically manipulating the coin itself. Not only that. If you dig deep enough in the coin shop, you might run across coins that were not minted by governments at all but by private manufacturers. In the early years of the Industrial Revolution, this was the way coins were made in Britain, not by the Royal Mint but by entrepreneurs no different from any other. George Selgin tells the whole story in his aptly named book Good Money. It turns out that making money is a business like any other, not something that only governments do. In a free world, it would be something done entirely by private enterprise. The same is true of exchanging money. Some of the world’s first great fortunes were made this way, profiting from the buy/sell spreads in coinage markets. Today the business is the same in some respects, and one can see the appeal of it all. Bless those who sustain it and believe in it. So long as this good money is in your hands, it is your independent store of wealth. There are no taxes due, no withdrawals required, no forms to fill out. It is the physical embodiment of independence. It gives you freedom. It secures your rights. 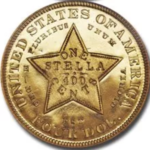 And because this coin is valued not by the nation-state, it rises above it and extends beyond it. Its value is recognized the world over, and not because the UN has proclaimed it but rather because it is something everyone on the planet agrees on. Geographic mobility is only part of it. Look at the dates on the older coins: 1910, 1872, 1830, 1810, and earlier and earlier. They are still beautiful because they are durable. Their value is not diminished over time, as with just about everything else we know about; rather, it increases over time. And by its very nature, gold protects your investment from the depredations of modern life. How they inspire the imagination. 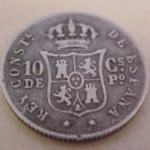 What was the world like when such coins served as money? The economy wasn’t managed by some central authority. It managed itself from within, by the buying and selling decisions of economic agents themselves. The coins were selected by the market to serve as the facilitator of exchange, the things by which we were permitted to rise above the limits of barter. They made possible calculation between goods and services that were as widely diverse as the whole of the human project, and reveal what was profitable and what was not. So these coins made it possible to organize the world’s resources into lines of production that served society in the most efficient way. And how did the politicians figure into this mix? When they got their hands on these coins, they could do terrible things. But it was rather difficult for them to get them. They had to demand that the citizens fork over the coins or else, which is to say, they had to tax people. You have to have a pretty good reason to do this. Or the lie you tell has to be pretty darn compelling. You can only tell fibs so many times before people catch on. If this is the only money that circulates, the aspiring leviathan state faces a serious limit on its capacity to expand — a limit imposed by physical reality and the unwillingness of most people to give up something for nothing. This is why every state is so anxious to see money substitutes circulate widely, preferably in the form of paper that can be made at will. 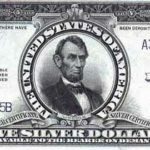 If that same state can get banks to cooperate in creating more paper than can be redeemed by gold and silver coins, it can begin to habituate the population to the idea of a “fiat” currency, that is, money that is invented out of whole cloth. And here we have the short history of how money came to be destroyed and how the modern world came to host the ghastly leviathans that dominate the world. Here is the basis of destructive and unnecessary wars that last and last, the character-shredding welfare state, and the swarms of bureaucrats who run our lives in every respect. It all comes down to the way money was destroyed. You can tell from looking at the dates on coins that all of this happened surprisingly recently. The process began in the early 20th century with the cartelization of the banking system so that banks could loan money out of deposits they promised to pay on demand. The government’s own debts would be paid no matter what. This helped with the war — taxes don’t cut it when it comes to funding global war — and so the financial system was encouraged to set aside its usual concerns over stability since it was now guaranteed not to fail. The process continued with the attack on gold during the New Deal under the influence of people like John Maynard Keynes, who believed that paper money would usher in a new utopia of a government-managed economy. So desperate was FDR to have people stop trading good money that he demanded it all be turned in; he said this was necessary to stop the Depression. 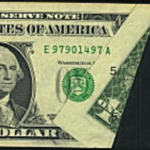 Then the paper-money revolution was furthered by people like Milton Friedman, who believed that a pure paper money would somehow bring about a stable price level — through a formula that may have looked good on paper but failed to account for the realities of politics. In the end, we ended up on the other side of the great divide between freedom and tyranny, all symbolized by the contrast between the coins of the past and the coins of the present. It is reality vs. fiat, independence vs. dependence, value that lasts vs. value that is the whim of the transitory political class. 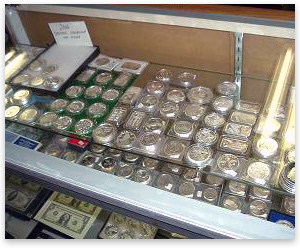 You discover all of this when you walk in the coin shop. Have a conversation with the proprietor, who tends to be of a type: perhaps a bit crusty, but highly knowledgeable and independent minded. At his office, he lives amidst this history. He is surrounded by the truth about money that most people never discover. He is daily faced with the beauty of what once was, and perhaps too he imagines the possibility that it could be again. He is not usually the despairing type either. He sees the difference between what is permanent and what is transitory. If you take the time, you can learn from him. If you trade with him, you can enter into his world of knowledge and partake in the ancient truth about money, politics, and civilization. To own these coins helps grant some sense of independence to you too. You will possess a store of wealth that is not subject to wild bubbles, state-manufactured inflations, and political whims. It is a kind of privatized secession. Is it any wonder that people who enter this world think differently from others? Their blinders are off. They see what is real and true. They no longer believe in the great modern lie that the state is our wise master, in whom we should trust our very lives. 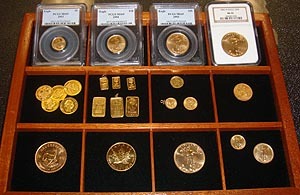 The owner of gold and silver coins is just a bit less attached to the state than others. And should a time of great crisis come, and you look among the survivors, you can be pretty sure that preeminent among them will be those who love the coin shop as much as I do.